I got a confession to make. The BMW 135i Coupe is one of my favorite cars and I do have a soft spot for it. When it came out, the fairly affordable Coupe was a logical step in the performance direction direction for the 1 Series and it clearly ticksed all the boxes in that manner. The BMW 135i has been a fan darling ever since it was introduced, especially since the car has certainly aged reasonably well. 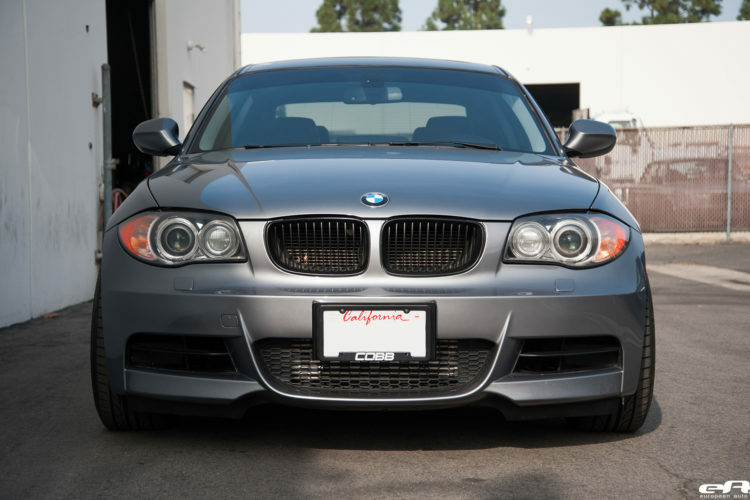 Often scrutinized, the E87 1 Series has been seen its fair share of battles over design and proportions. But the 135i Coupe found a home in the heart of the enthusiasts, and to this date it has been one of the most fun to drive BMWs. While this Space Gray 135i keeps it classy yet aggressive with OEM F82 M4 wheels, for the owner of this high-performance coupe it was mandatory to add a substantial brake upgrade. 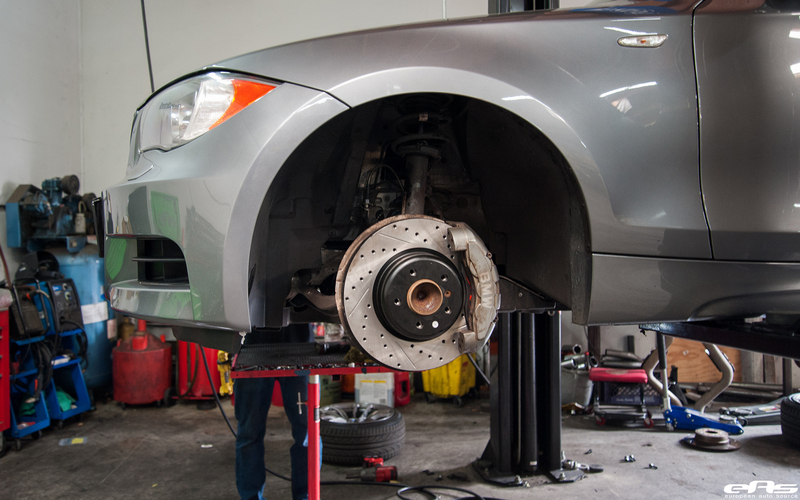 The BMW 135i received a StopTech Sport Brake upgrade on all 4 corners. These include slotted and drilled rotors. Furthermore, the pads and lines for the BMW 1 Series were also switched for a better aftermarket solution. 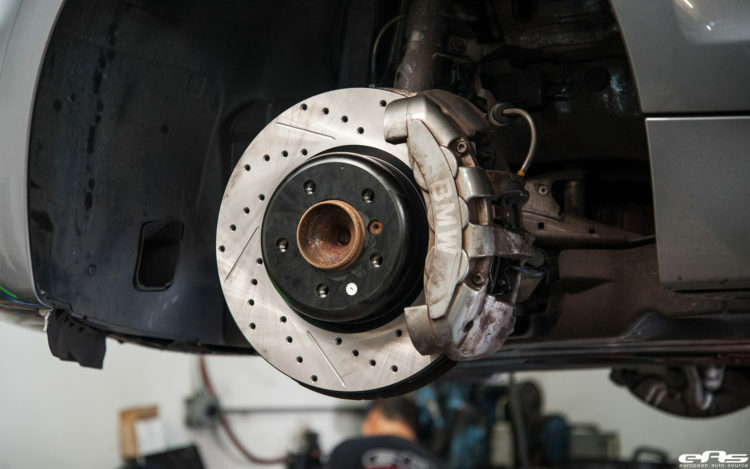 This helps stop the car faster, brake deeper into tight turns, allow for less brake fade and, less dust on your shiny wheels than you would with the factory components. 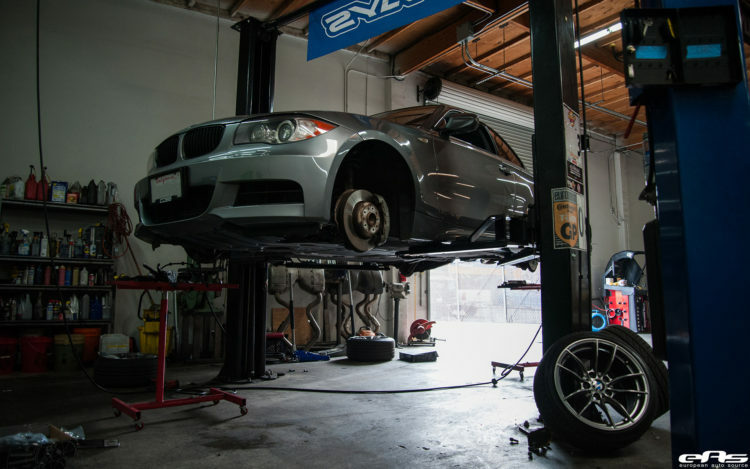 For this owner, the mods added at European Auto Source were sufficient to keep his vehicle safe and performance optimized, battling its telltale signs of old age. Weight distribution is the typical BMW 50-50 giving the car a dynamic driving. With powerful powerplants like the N54 biturbo inline-6 engine installed in the BMW E82 135i, you also get high-performance numbers in this gorgeous package. According to the BMW’s website the 135i Coupé accelerates from 0–100 km/h (62 mph) in 5.3 seconds, however Car and Driver magazine recorded 4.7 seconds for 0-60 mph acceleration, and a quarter mile time of 13.3 seconds at 106 mph (171 km/h). Top speed is electronically limited to 250 km/h (155.3 mph). With an aftermarket mod like this, the BMW 135i is ready to tackle both the winding roads and the occasional racetrack adventure. Check out the full build details in the media gallery below.